The SB-6 helps remove noise from two channel audio systems, stereo guitar racks, and pedalboards. 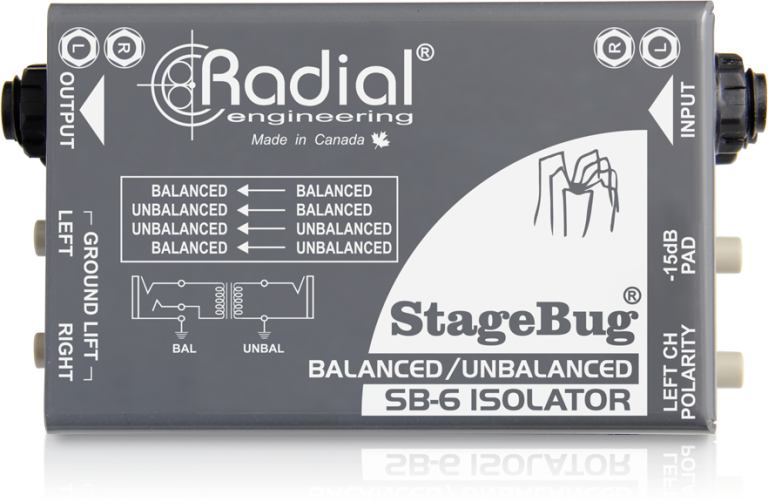 Two on-board isolation transformers provide a flat frequency response from 20Hz to 20kHz, while removing hum and buzz from ground loops. 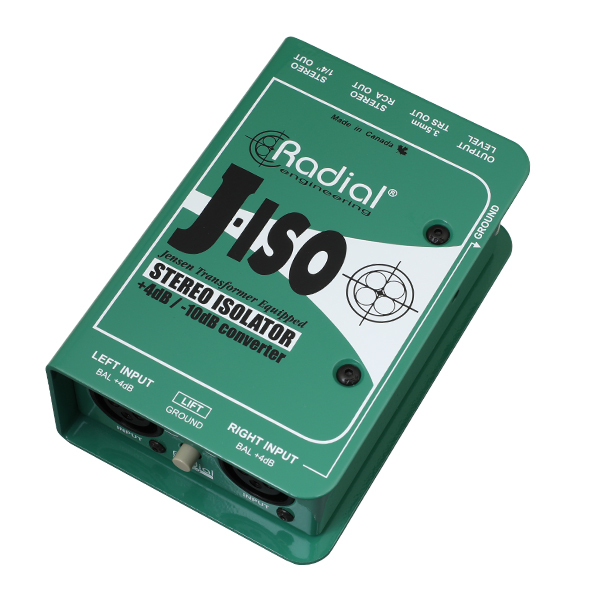 Dual ground lift switches help further reduce noise, and a -15dB pad allows you to handle high volume outputs without distortion. 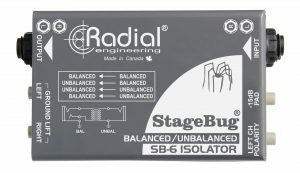 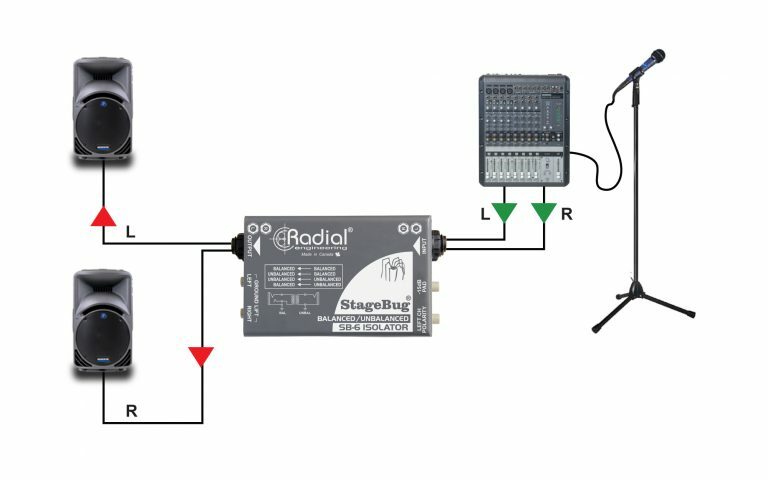 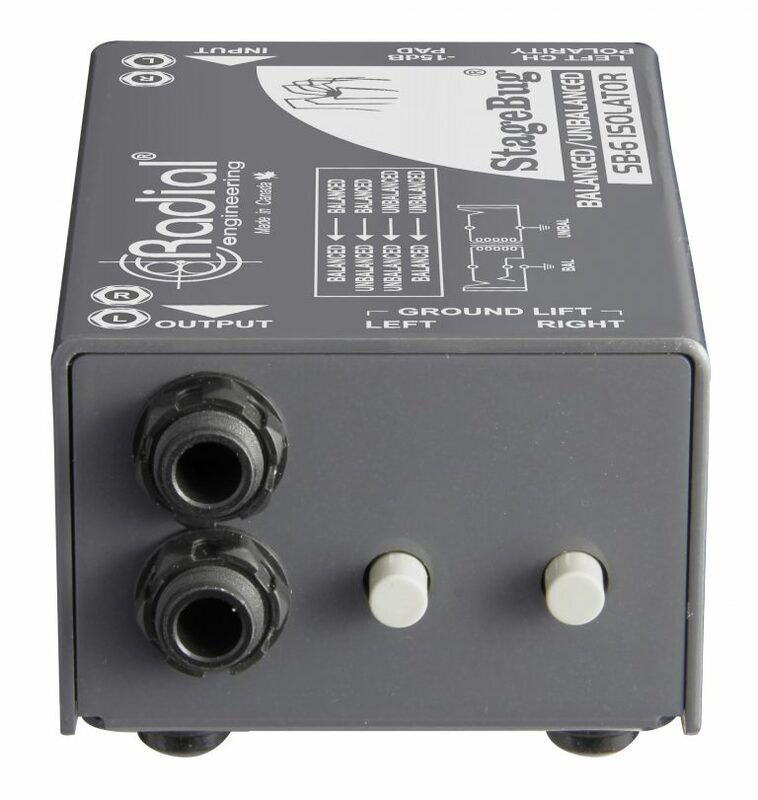 When using the SB-6 before a set of powered speakers or guitar amplifiers, a polarity reverse switch corrects frequency cancellation and ensures both speakers play back in phase with one another. 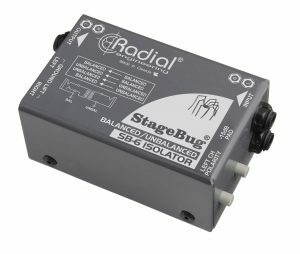 The SB-6 is completely passive with no need for power, so it's easy to insert into any system to remove noise quickly. 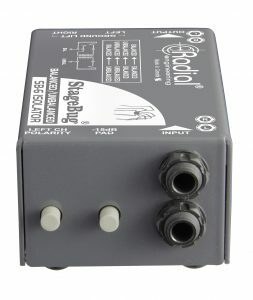 Isolate the output from a DJ Mixer to a power amp using the SB-6 to eliminate hum and buzz caused by ground loops. 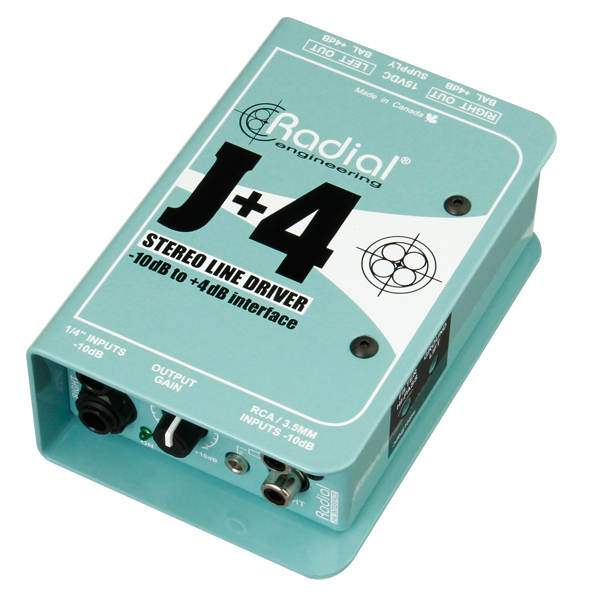 Either ¼" mono or TRS connectors may be used. 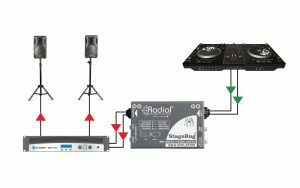 When running multiple speakers, you can often encounter noise due to imperfect power systems and DC offsets. Use the SB-6 to isolate distant loudspeakers to solve the problem. 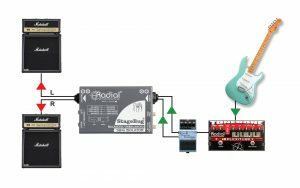 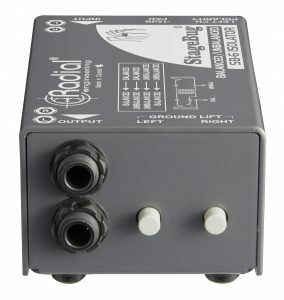 Eliminate noise in your guitar setup by isolating the guitar amp from other electronic devices. 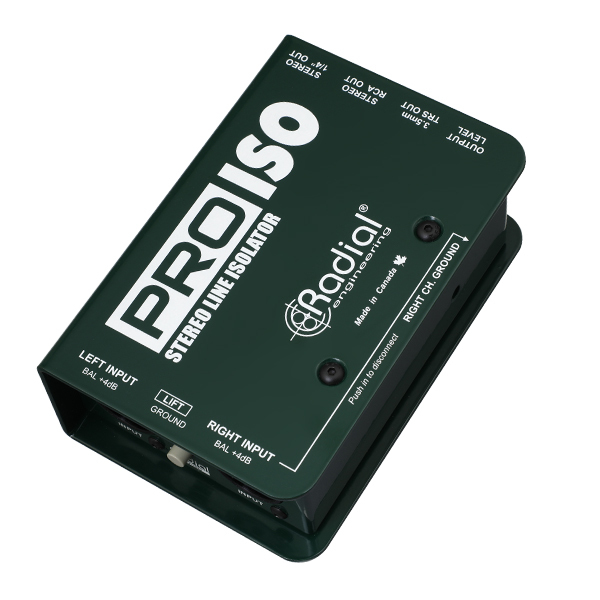 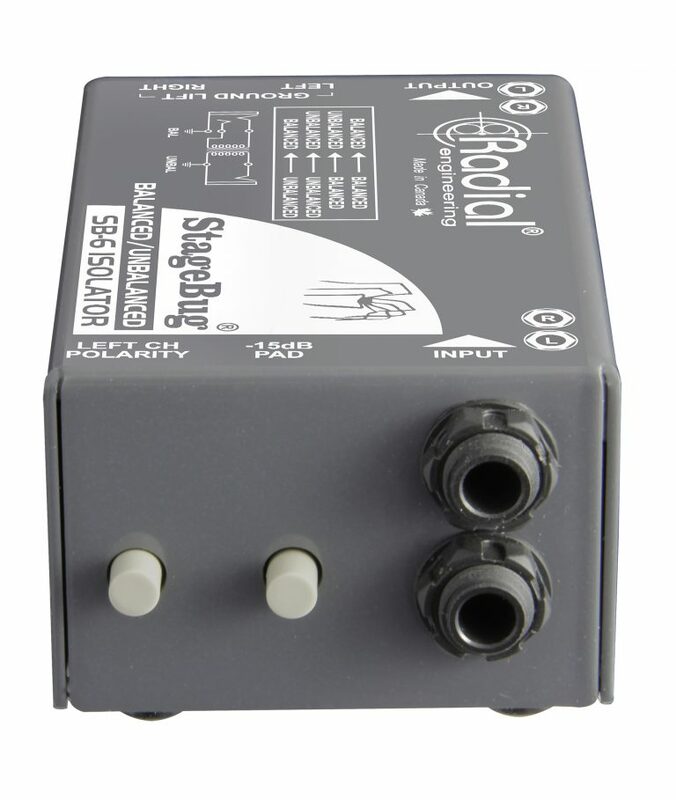 This SB-6 works great between your pedalboard or with your wireless system.